Malù is a splendid Bed & Breakfast located in the seabord of Polignano a Mare, the perfect place in Apulia to spend the summer, thanks to the music (Polignano a Mare is the birthplace of Domenico Modugno, infact at about 20 meters from Malù there’s a statue named after him) and the stunning sea, awarded with “Bandiera Blu” and "le 4 vele di legambiente” (two of the most important Italian prize for the safety and the pureness of the sea). 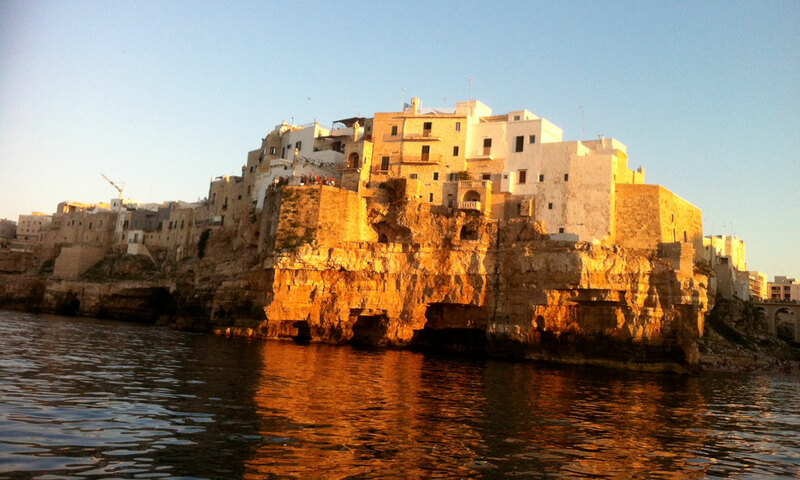 The first purpose of our staff is to make the guest stay the better as possible, showing the warm welcome typical of Apulian, and impressing with the stunning skyline overlooking the wonderful medieval village and the majestic cliff that overhang the sea. The perfect mix to relax during the vacation. 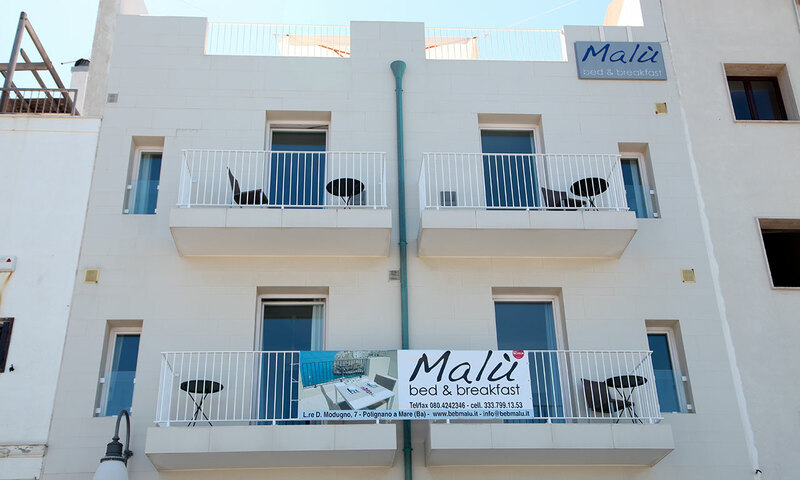 The originalty of Malù is in the name of the room inspired by the discography of Mr. Volare (it’s a chance to live a pleasant stay in the Wonderful “Meraviglioso”, “Nel Blu dipinto di blu”, or maybe “Tu si na cosa grande”, “Uomo in Frack” and “La Donna riccia”) and the stave painted on the wall. The white of the wall surrounds you joined with the light blue that inevitably makes you think about the crystal clear water. Furthermore Malù is now included in the prestigious Guida Michelin, and it has also given hospitality to the marvelous actors of the American soap opera Beautiful, during the shooting.